Not only the migrating birds speak in Translations from the Natural World. 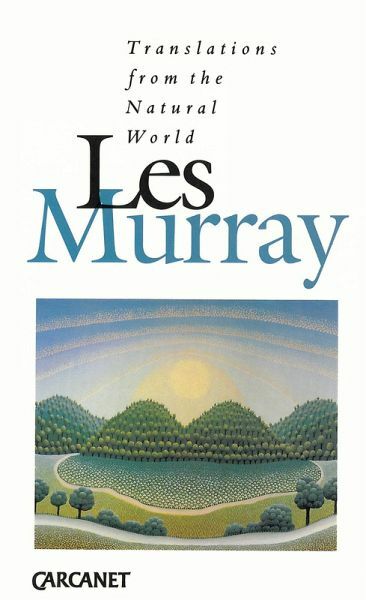 The imprisoned species of pigs use their slum language; ravens, cuttlefish, sunflowers and a shell-back tick are among those non-verbal members of our natural world which find distinctive voices in this new collection of poems by Les Murray. Few poets could achieve such variety of approach to express character and feelings and to give us their vision of the universe. Les Murray also includes the human animal in the poems which begin and conclude the collection. Les Murray was born in 1938 and grew up on a dairy farm at Bunyah on the north coast of New South Wales. He studied at Sydney University and later worked as a translator at the Australian National University and as an officer in the Prime Minister’s Department. Since 1971 he has made literature his full-time career, publishing over thirty books and receiving numerous awards, including the T.S. Eliot Prize, the Petrarch Prize, the Mondello Prize, and The Queen’s Gold Medal for Poetry.